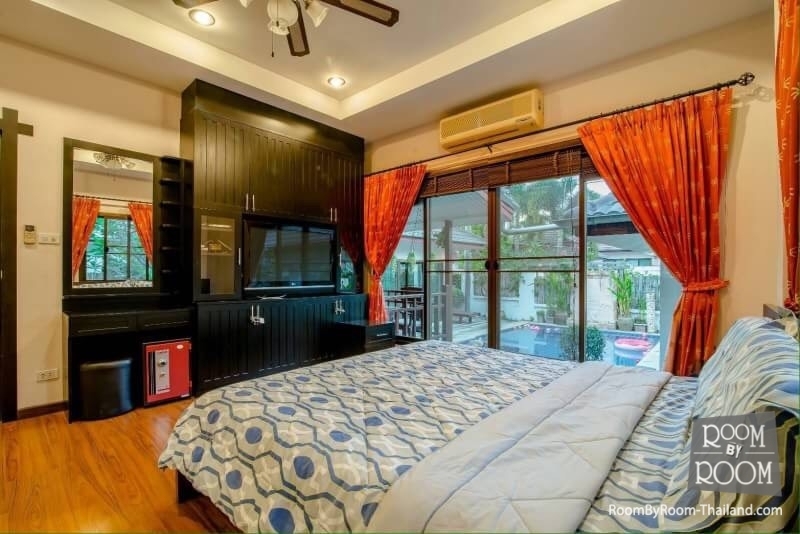 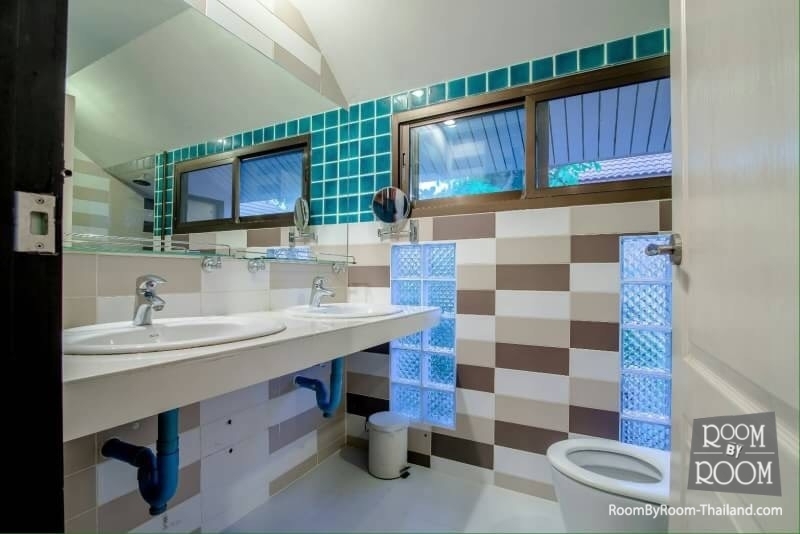 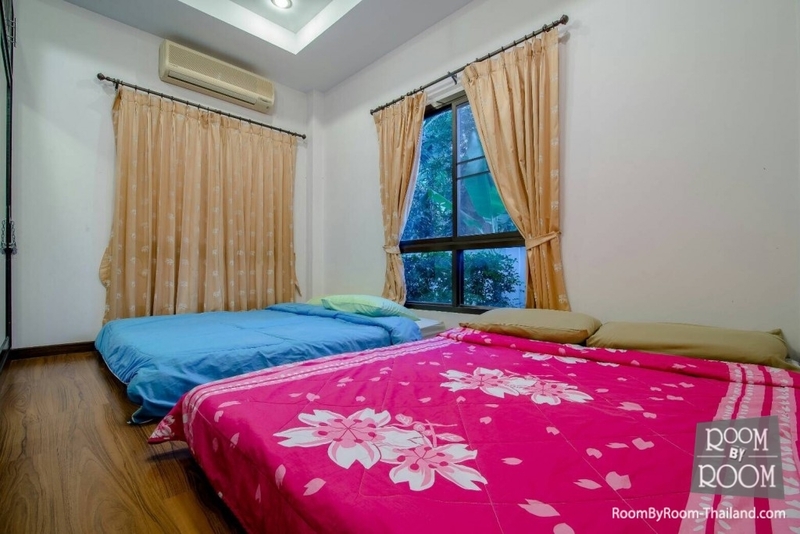 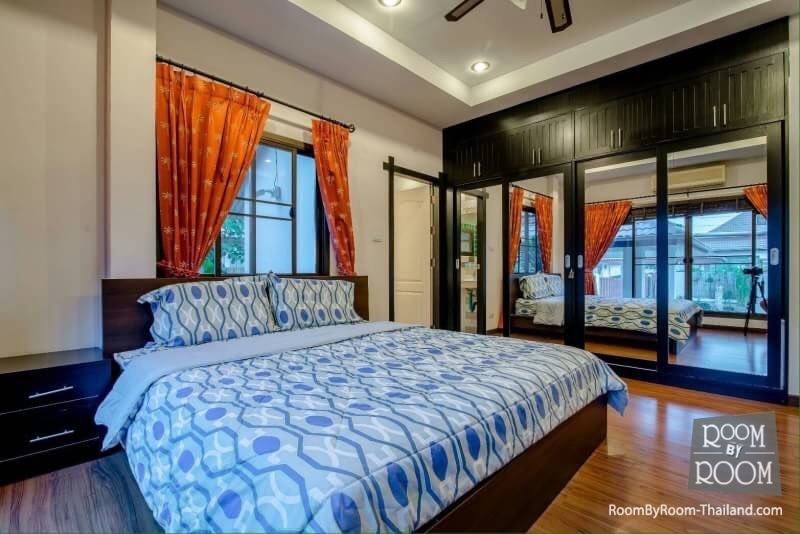 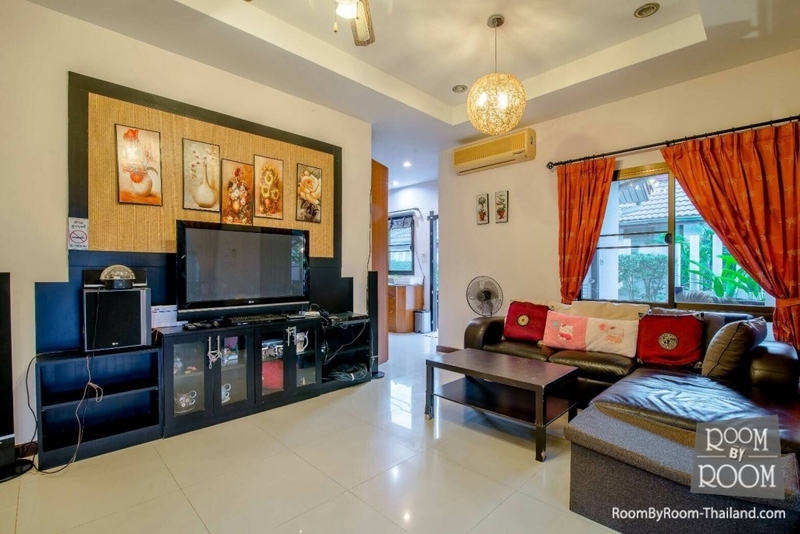 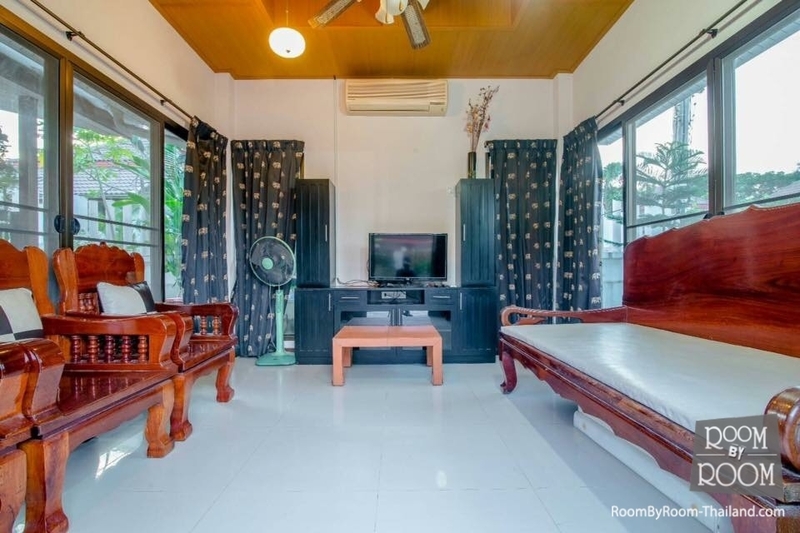 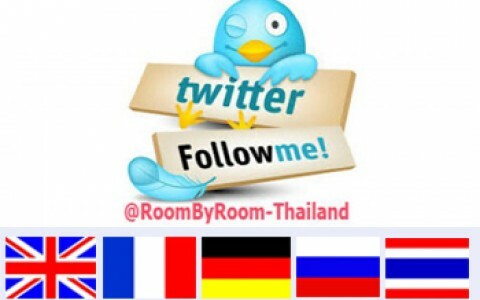 This Lovely Family Home is situated in a popular area to the South of Hua Hin. 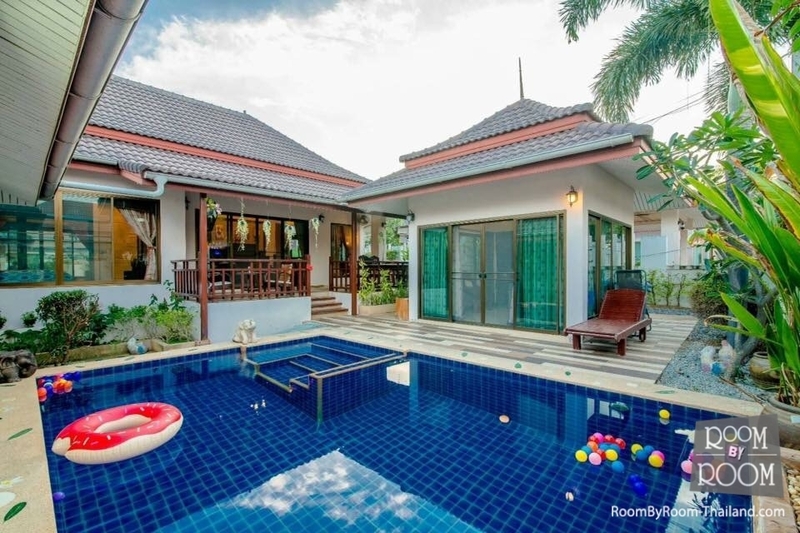 This stuning private bungalow has been finished to an excellent standard. 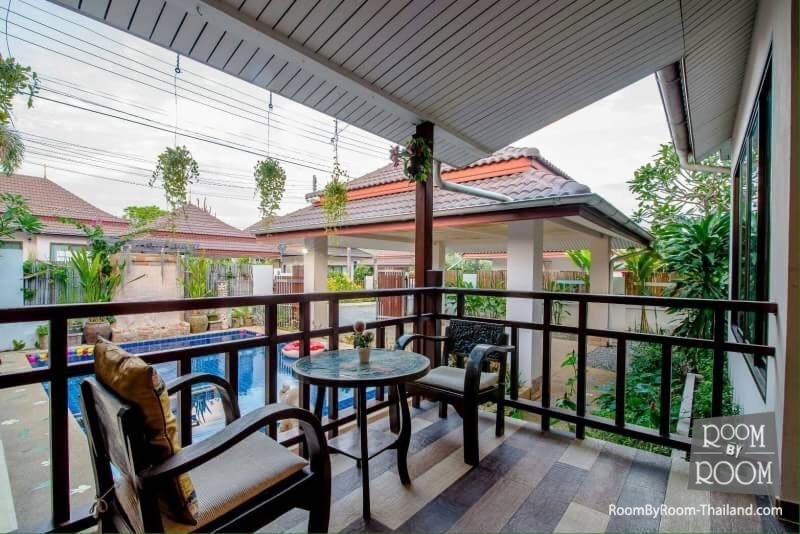 It is 3 bedroom, with Built-in wardrobes, 3 bathroom villa with private swimming pool. 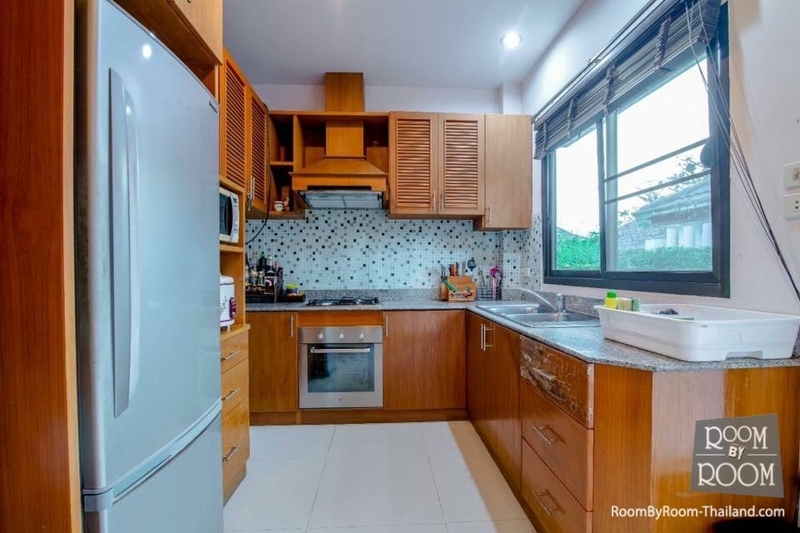 The home also has a fully fitted European style kitchen and adjoining dining room which allows driect accedd to the pool, a living room &also comes with 5 air Cons.